Want to increase visitors to your site? 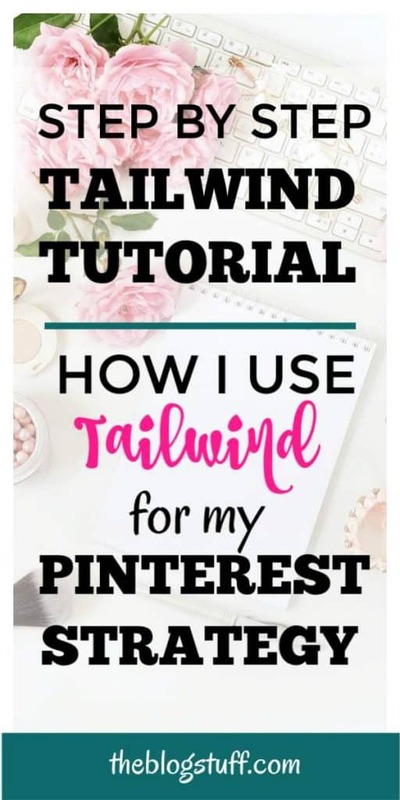 Read this tailwind pinterest review and step by step tutorial to learn how I use it to schedule pins on tailwind. # Please note that this post contains affiliate links. It means that if you buy Tailwind through my link I will receive a small compensation. I use and love Tailwind and that’s is why I recommended it. Read the disclosure policy for more information. 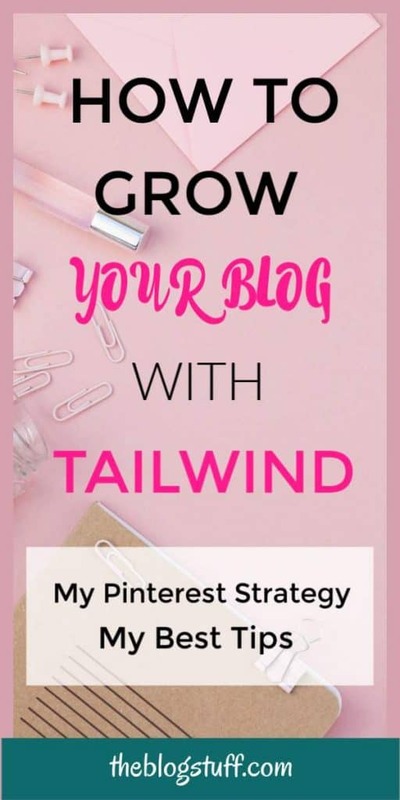 Tailwind is the ultimate tool to grow your social media and I truly believe that if you are not using Tailwind for your Pinterest marketing strategy you are missing out. Before Tailwind existed we used to pin manually as it was the only way to do it back then. But as your account grows (pins and boards) it becomes difficult to keep track of what images you have pinned and to what board. It’s no impossible but realistically, who has the time for that? So when Tailwind was introduced many bloggers saw the value that it offered. I debated whether I should get it because I didn’t want to invest in yet another “thing” that I didn’t know for sure it was going to help my blogging endeavours. After reading many Tailwind reviews I gave up and decided to give it a try. I started with the free trial (100 scheduled pins) and decided to pay for the full year because I was getting good results. In my case what works best is a combination of Tailwind and manual pinning. Tailwind because it gives you the ability to reach more people even if they are in a different time zone. Manual pinning because when I stop doing it for a few days my blog’s stats tend to go down. Tribes, inside Tailwind, also play a good part on expanding your reach. 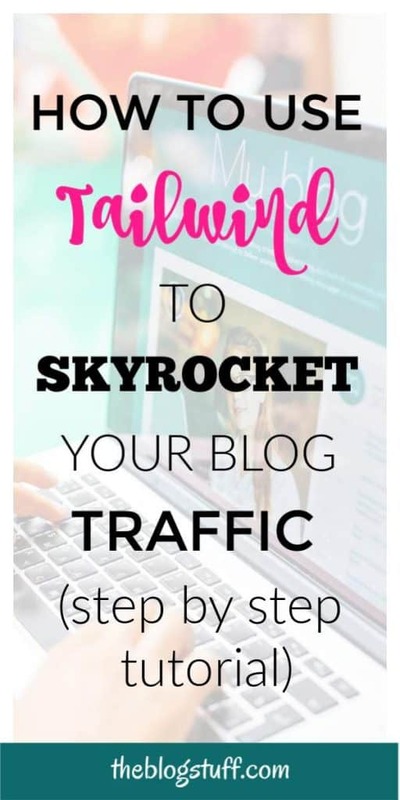 Now let’s have a closer look at this Tailwind review and discover how it helps marketers and bloggers. 1 TAILWIND REVIEW – What Is Tailwind for Pinterest? 5 USING TAILWIND | WHAT ARE THE BENEFITS FOR BLOGGERS? TAILWIND REVIEW – What Is Tailwind for Pinterest? Is tailwind worht it? Yes, it is! Tailwind is a great analytics app that can help you manage and organize your visual web content on Pinterest. Is a remarkable scheduling tool that includes many features. Some of the features you can find inside Tailwind includes Smart Scheduling, Content Discovery, Tribes, Analytics & Monitoring, Education and Hashtag Suggestions, amongst others. This platform has become so instrumental that close to 150,000 bloggers and agencies rely on it today to supercharge their visual marketing efforts. It has made work easier for the users. We no longer have to pin our content blindly on Pinterest. It analyzes your pins and shows you how people interact with them. In addition, it gives you an indication of your performing pins, the under-performing ones, and your best boards. This means that you can schedule your pins more logically. You won’t spam anyone or fear not pinning sufficient content. Tailwind takes care of your content and allows you to be more productive. Before discovering how Tailwind works I have collected some information about Pinterest. Pinterest has over 100 million subscribers. This is a big market by any standards. Industry experts predict that in the next 12 months Pinterest will be a huge search engine business to rival the best in the field. Towards this end, the company is improving its services to enhance the user’s experience. They reward anybody who can help them achieve this goal. They use their Smart Feed Algorithms to identify and rank pins based on how credible they are. This is good news for bloggers who want to improve their marketing strategies. Pinterest is keen to observe certain aspects of your content. The first is the quality of your pin, while the second is the individual boards and the third is the overall quality of your account. They use the Smart Feed to rank your content and determine how to show it. If they deem your content ’pin-worthy’’, it will gain more exposure. Poor content is degraded and could be penalized. Bloggers can reap massive benefits by signing up for the Tailwind App. However, before this happens, you need to come up with a workable Pinterest strategy. 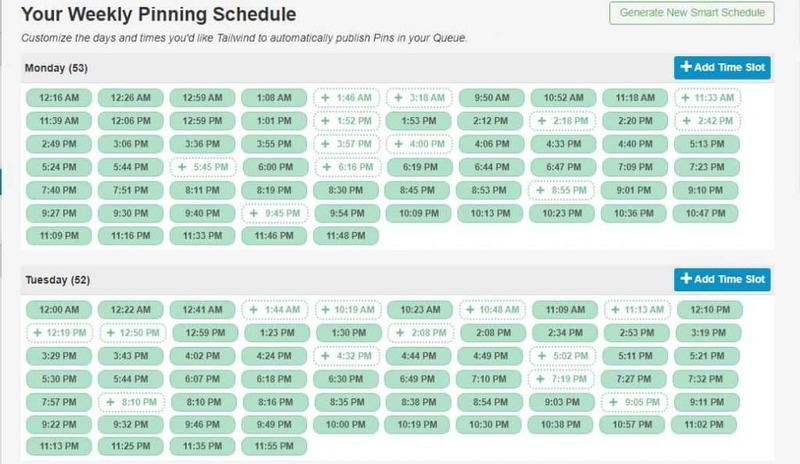 Please note that this is the way I personally use Tailwind to schedule pins on Pinterest. You don’t have to follow it if you don’t agree. Another thing is that this tutorial is entirely focus on Tailwind for Pinterest. If you are looking for an Instagram tutorial check this video. # Since this blog is still in its infancy I have used my skin care site as an example. As bloggers, we can use Tailwind to make our content go viral on Pinterest. First, make sure your pins, boards, and your entire account look professional and appealing. Second, sign up for Tailwind. When I first started with Tailwind I was confused with all the features you can find inside and what you use them for. Although Tailwind has their own video tutorials explaining everything I was still a tad confused (I know, I’m a slow learner). I’m going to break this down and explain a little bit of what each feature is for. On Publisher you will manage all your drafts. Here you will schedule your images to your Pinterest boards or groups. With the Tailwind browser extension you can quickly save any image you want to pin later. To do this hoover over the image and save it for later (to your drafts) or schedule it right there. Choose whether you want to save the images for later (in drafts) or Schedule Now. 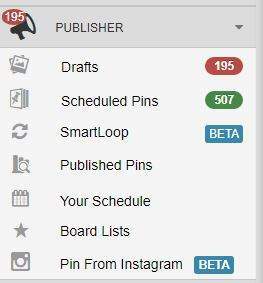 If you chose “Schedule Now” select a board or multiple boards to share your pins. It goes to the “Scheduled Pins” queue. How do you schedule pins on tailwind? This step will take time but once you get the hand of it you will be able to go at a faster pace. This screenshot is an example of images I have saved as drafts (from one of my sites). Let’s look at how to schedule an image. To make this step faster we are going to use “board lists”. Board lists are another component we can find under “Publisher”. First go to board lists. What is the point of board lists? If you belong to many Pinterest board groups or have plenty of your own this feature will allow you to group all your related boards. This step will help you schedule one image to all the different groups on that board list with one click. Is a huge time saver! How you group your boards is up to you. The way I do it is different. 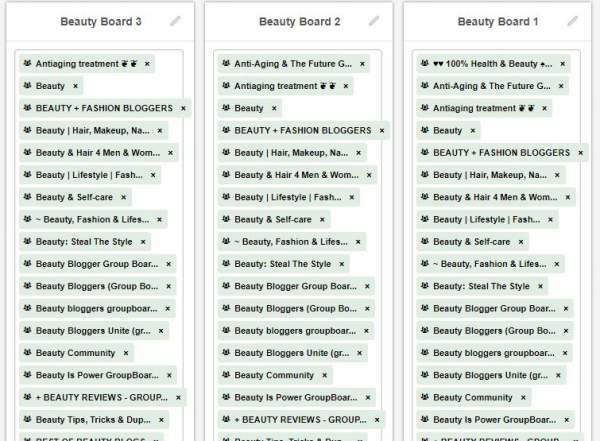 As you can see I have made a total of 38 list boards with all the groups related to Beauty. 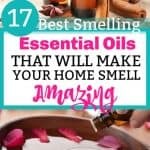 Why so many lists? To avoid spamming the group boards. I know this step takes time and the more related group boards you have, the more lists you will end up with. But once in place it makes so much easier to schedule your posts. Create your first board in the order they show on the list. Create the second board but start the list with the second group board. Add the missing group at the bottom of the list. Create the third board but start the list with the third group board. Add the missing groups at the bottom of the list. Follow this pattern until you go through all of your group boards. I have also made lists for the medium, slow and very slow groups so I know I don’t have to schedule pins to these groups so often. I usually pin to the slower groups boards manually to avoid spamming them. You could make a list with only your personal boards. 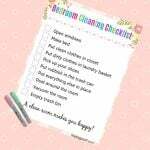 You can have as many lists as you want; just group them in a way that it makes sense to you. Here you will find your optimized time slots for every day of the week. Tailwind gathers data from your Pinterest analytics and picks the time slots where your audience are more likely to engage with your pins. The number of time slots varies depending on how many images you are pinning per day. At the beginning you will find fewer time slots but as you pin more the time slots will increase. 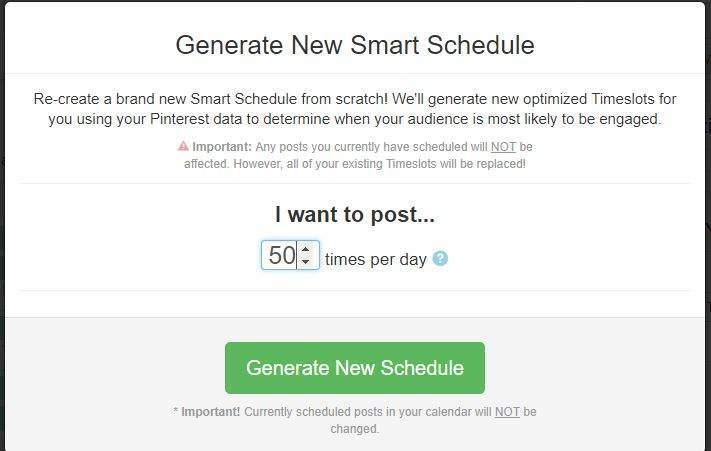 If you want to increase or decrease the number of available time slots click the button where it says “Generate New Smart Schedule”. Dotted Green – These are new time slots Tailwind suggests. Grey – Grey time slots are the ones you have manually chosen. As you can see from the screenshot I don’t have any. The default for maximum time slots is 50 but you can add extra slots by hand. When you complete this step is time to go back to drafts. We are in DRAFTS where we are going to schedule some images for Pinterest. The group board lists I show you earlier show up here. You can distinguish them by the yellow color and the star. Now I just need to pick one or more lists where I want this particular pin to go. I’m going to pick my beauty Board List. This means that the pin will be scheduled to 34 boards at the click of a button. You can see the value that this feature represents! Imagine being able to schedule your pins to several boards at the same time as opposed to do it one by one. This is going to save you so much time and headache. Now that image is scheduled to go to all those boards. Easy peasy! If you see boards that are highlighted in yellow it means that you have already pinned from this post to those boards. Don’t worry about that. You are allowed to pin the same image multiple times. Even if is a different image from the same URL you will still get that warning. # Make sure to write a description using your most important keywords. You have the choice to schedule your pins to Twitter and Facebook too. As you can see I have chosen to post this image to my Facebook page using the same description. Add a few hashtags if is a fresh image. Please note that Pinterest has removed the choice to post to your twitter account. On Tailwind still works for older accounts. If yours is new it won’t work. As you can see I belong to 6 related Tribes. Tick the ones you want to schedule your image. If you see a red triangle it means that you have already added that content to the tribe. Go ahead if the image you are using is different to the image you have already added. Most Tribes won’t allow you to pin the same image twice so be careful and follow the Tribe’s rules. Scroll down to learn more about Tribes. Interval is a clever feature designed to avoid spamming the groups with the same pin. Imagine what it would look like if I schedule this image to all those boards without using interval. The same image will appear all over my Pinterest profile account and I will look like an spammer. Worst case scenario Pinterest will ban my account for it. As you can see I can pick a day and a time to schedule my first pin. After I choose the minimum time between each pin. I chose 1 day interval, meaning that the image will be send to a different board and at a different time every day. You can change the interval to suit your needs. # Open Time Slots will fill in available time slots coming to your schedule. # Optimized will pin at optimized times that don’t form part of your existing schedule. # Exact will schedule your pins at the exact interval you chose even if no slots are available. I like to pick Optimized. Before scheduling the image make sure that you have the correct URL. Everything in order? Now hit “Schedule”. The image is added to the queue and scheduled at the interval you have chosen. Repeat the same steps with other images you want to schedule. I pin 30 to 50 images per day, but you need to monitor what works best for you. I usually schedule pins for a month so I don’t have to worry about pinning during all that time. I do still pin manually most days but that is a personal choice. What I do at this stage is go to Tribes and start scheduling images. Is a good habit because Tribes is about sharing images from other members. If you don’t want to use Interval you can send your pin straight to the queue. But remember to shuffle the queue to mix your pins. This is a good practice that will prevent you from spamming your followers home feed. When you finish scheduling pins head over to “Scheduled Pins”. Here live all the pins that you have scheduled. The images go to a queue before publishing them. The pins also appear displayed on the calendar grid. You can check your images before they are published. If you need to change something about a pin you can do it from here. If you have used interval, your pins are locked (calendar grid), so if you need to change something click the padlock image to unlock them. I have reached to support asking for this new feature. # My question: What is the point of SmartLoop? Tailwind support answer: SmartLoop works automatically, so you don’t have to continuously schedule your content to repeat. You’ll add content to a Loop, decide which boards you want the Loop to publish to, and set up any board rules or frequency rules you want. # My question: Do you have an idea as to when the SmartLoop feature is going to be available? Their answer: Sure! Because of overwhelming interest, we’re starting by inviting people to the Private Beta who’ve completed our survey and are also Tailwind Plus members. We hope to give access to all these folks gradually over the coming 8-12 weeks. After that, we’ll begin adding non-Plus members who have requested access. As you can see I don’t know the ins and outs yet but I will update this post once I have tried this new feature. UPDATE: Finally, I’m in. I was invited to try the Smart Loop feature few days back. Is still early to report but I will keep you posted when I have available data. Tribes are groups inside Tailwind. They help your blog grow and expand its reach in a similar way to Pinterest groups. Below is a screenshoot of one of the Tribes I belong to. 1. Find related Tribes you want to be part of. 3. Once you are approved read the Tribe’s rules and stick to them. 4. When scheduling pins add them to any related tribe you are part of. 5. Share images from members of those Tribes. Most rules dictate that for every pin you add you have to repin one from someone else. Plus Plan members are allowed to join 5 Tribes and submit 30 times a month as a benefit of being a Tailwind member. Plus Plan members can pay for Tribes PowerUps to increase these limits. You are also allowed to create your own Tribes and invite people. The other part of Tailwind is insights. Below is a short explanation of what each of those features do. 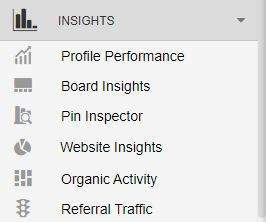 On Insights you check the performance of all the work you are doing in PUBLISHER. Is all about the performance of your Pinterest profile. What can you track on profile performance? Other things you can check include the Virality Score, the Engagement Score and the Engagement Rate. These represent the health of your Pinterest account. Aim to boost them as much as you can. You can find here all your Pinterest boards. Personal boards, secrets boards and group boards. Tailwind will help you to rank each of the board’s performance. As such, you can tell which boards score well under both the Engagement Score and Virility Score. You need to target these boards if you are looking for quality traffic. You can further enhance the performance of a board by re-pinning high performing pins on this board. It thus gets even more traction. When tracking the performance of your group boards don’t forget to uncheck personal and secrets boards. This feature allows to check what pins are performing better. It can help you organize your pins based on performance. You may then combine your top pins on one board, thus enhancing your Virality Score. Please note that the next 3 features inside Pin Inspector are only available if you bought the Enterprise Plan. # Trending Pins – It tells you which pins went viral over a certain period of time. # Interest HeatMaps – It tells you what type of content performs better and gives you recommendations to refine your pinning strategy. # Peak Dates and Times – It tells you when you reach more people and the best times to pin. Here you can find what others are pinning from your site/blog. Use this information to discover what type of pins have more success and create similar ones. You will discover the number of pins, organic activity, referral traffic and potential impressions. As you can see there are plenty of Tailwind features to help up your Pinterest strategy. Tailwind and Pinterest are a match made in heaven. I hope you are using both of them to take your blog/site to the next level. Bloggers use Tailwind App on Pinterest for a variety of purposes, and with many benefits. 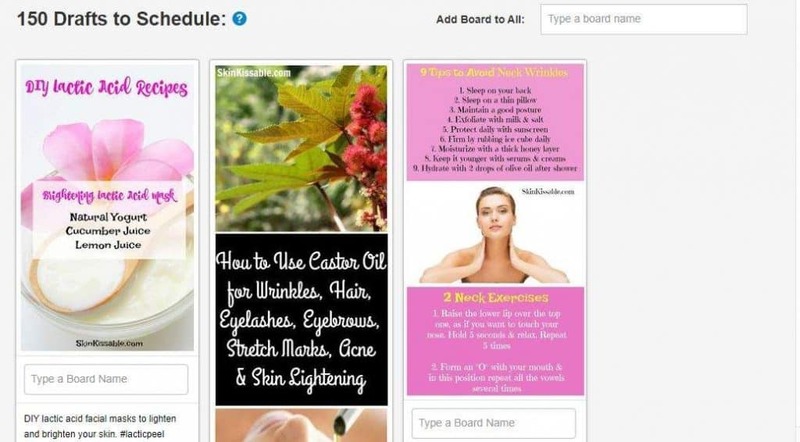 Using Pinterest for your marketing strategy? 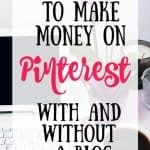 Check these tips on how to use Pinterest to grow your blog. Does tailwind cost money? Yes it does, but you can start with the free trial. How long does tailwind free trial last? 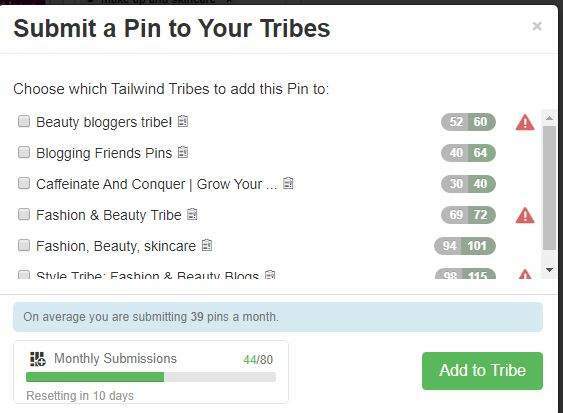 Tailwind free trial lets you schedule up to 100 pins to Pinterest. There is not really a specified time. As soon as you finish scheduling 100 pins you need to upgrade to a paid subscription if you want to keep using Tailwind. I started with the free trial and then I upgraded to the PLUS plan. How much is Tailwind per month? # Basic account – If you chose to pay monthly it will cost you £15. With the basic account you are allowed to schedule up to 400 pins a month. # Plus Account – The PLUS plan is a good investment because you get 4 months free. 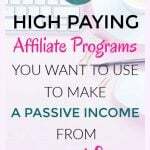 If you are a blogger or a small business the Plus account is the perfect choice because it offers unlimited pinning and other benefits only available to Plus accounts. # Enterprise account – For large brands and business. USING TAILWIND | WHAT ARE THE BENEFITS FOR BLOGGERS? Most bloggers run busy schedules. To help them manage their schedules better, the app has been built with easy to use shortcuts. These include upload of bulk images, ability to pin on several boards at once, pin looping, drag-n-drop calendars and hashtag lists. The app enables you to optimize your schedules when it will have the maximum impact. This would be when you can reach most of your audience. Tailwind enables you to see which pins are working and which are failing. You can then take appropriate action based on this. You can create several posts from anywhere in a few easy steps. This enhances efficiency in your work as all marketing content can be posted from just one tool. When you share content your followers benefit because they are already interested on your topics. Tailwind is a powerful marketing asset that enables you to identify and link with like-minded individuals. Following you, re-pinning your images or any type of engagement helps you to determine what works and what does not. You can rely on Tailwind to keep track of your pins, profiles, hashtags, etc. The app is easy to use. What’s more, it will show you the most important analytics. As such, you will be able to make timely decisions that will make good business sense. Without a doubt, Tailwind has revolutionized the way bloggers go about their work. It has made it easy for them to identify good content that belongs to their niche. Most bloggers agree that Tailwind’s browser tool has eased how they schedule their content. It seems like a lot when you first start using Tailwind but it will become easier as you get used to. The beauty of Tailwind is that it will work for you all day long, even when you are asleep. Is better than having a virtual assistant because you don’t have to teach anyone. If you only pin manually your life after Tailwind will change drastically. You will have more time to focus on other aspects of your blog and your life. In my opinion is worth every penny but if you are still sitting on the fence go for the free trial (100 scheduled pins) like I did. I’m pretty sure you are going to be more than surprised with the results. What do you think about Tailwind? Do you use it for your marketing strategy? Leave your comments below. Thanks! I have been struggling so much with creating images for my blog and TailWind is exactly what I need right now. It seems like a good investment for a growing website to save time. You have to spend money in order to make money. I don’t know how I survived before getting a Pinterest managing system like Tailwind. I love that it takes just an hour of my time a week.